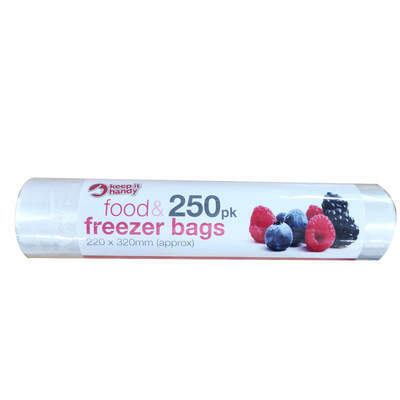 These Food and Freezer Bags are perfect for both domestic and commercial environments such as busy care homes and nurseries. The compact roll is perforated making it easy to grab a single bag. Can be used to store food items to either keep them fresh, or be placed in the freezer. Also useful for keeping small objects tidy. For high-quality catering supplies we stock everything at affordable wholesale prices to suit your budget, whether you're looking for, try our Aluminium Kitchen Foil or Professional Clingfilm.